Thanks to Natalie for her impact on religious tolerance! 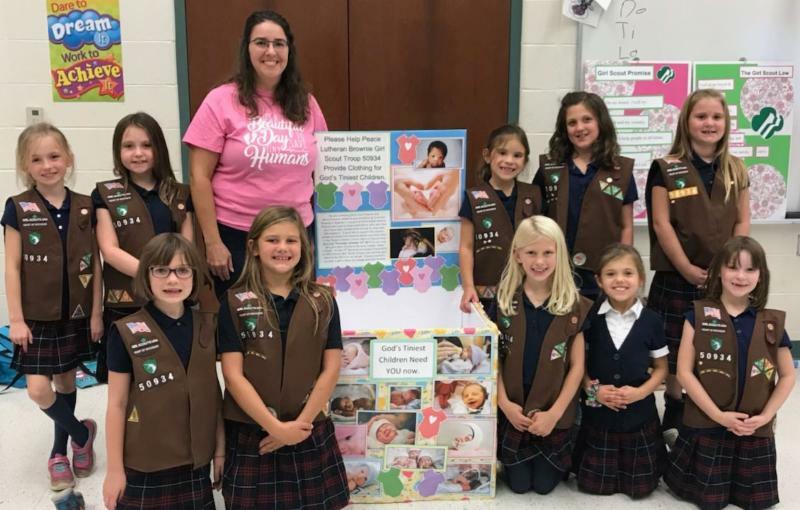 Peace Lutheran Girl Scout Troop in Saginaw, MI was born of the desire to grow CHRISTIAN Girls of Courage Confidence and Character . This is the 3rd year of empowering fabulous young ladies at Peace Lutheran School to focus first on Christ, and second on making the world a better place. The Brownie Girl Scouts meet twice a month for troop meetings and 1-3 times a month for Christian Service Projects and Educational field Trips. Each member of the troop proudly wears a golden cross on their Brownie vest to show the world that Christ is at the center of their sisterhood. It is not surprising that the Brownie Girl Scouts from Peace Lutheran Church have participated in both religious growth series from P.R.A.Y. 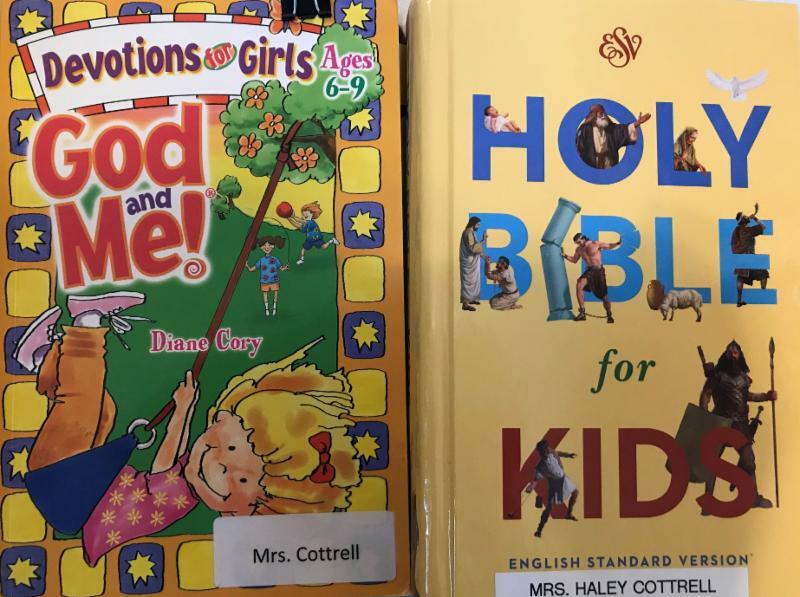 According to Haley and Keri, “The girls LOVED earning this beautiful religious award, God and Me .” Instead of a traditional 4-session program, the leaders chose to run a mini-camp and hosted their very first over-night at the church. [Visit P.R.A.Y.’s Community Hub for more details on their mini-camp adventure .] The girls have also earned “The Good Book” patch from P.R.A.Y.’s Bible Basics RP3 Series and plan to earn all the other RP3 badges because they fit so perfectly into their Christ Centered Scouting model. 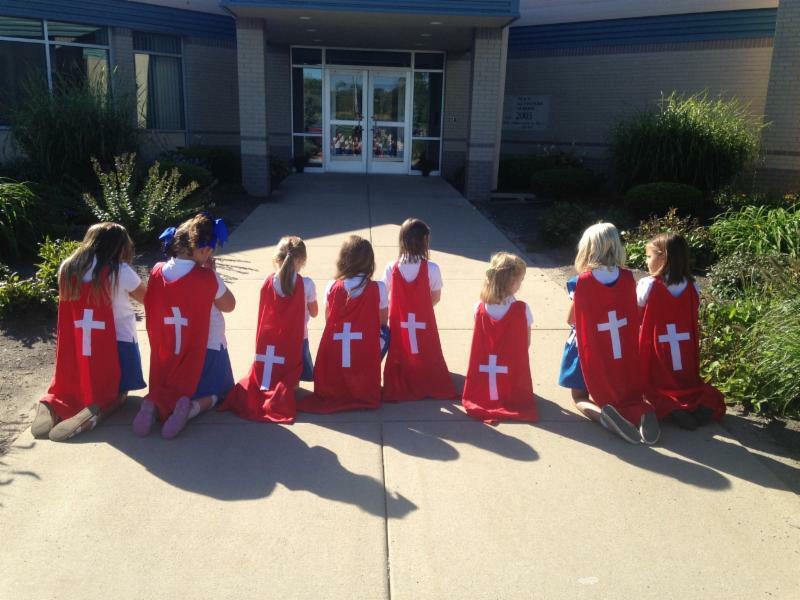 ﻿After learning about the “Super Power of Prayer“ (our super power as human beings is the ability to communicate with our creator through prayer), the girls prayed for their school in the capes they made. 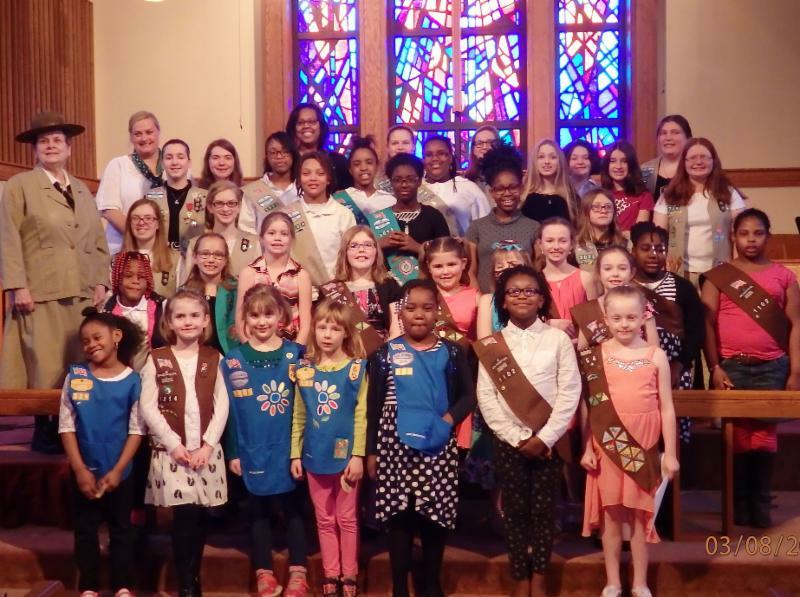 All Girl Scouts promise “To Serve God,” and it is appropriate to celebrate faith and spirituality especially on Girl Scout Sunday/Sabbath in March. 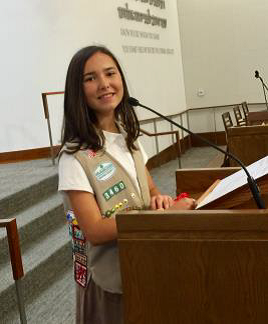 Girls are encouraged to wear their Girl Scout uniforms to their places of worship. 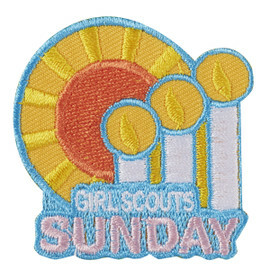 Better yet, families are encouraged to contact their clergy and ask how their congregation can celebrate Girl Scouting.  Consider how your troops and congregations can honor Girl Scouts who seek to grow in faith. Together let's seek TO SERVE GOD. The P.R.A.Y. office will be closed from noon on Friday December 22nd through January 1st and reopen on Tuesday January 2nd. Effective January 1, 2018, the standard fee for postage/handling for religious awards will be $5.00 (an increase of $.50). The fee for expedited shipping will be $30.00 (an increase of $5.00). 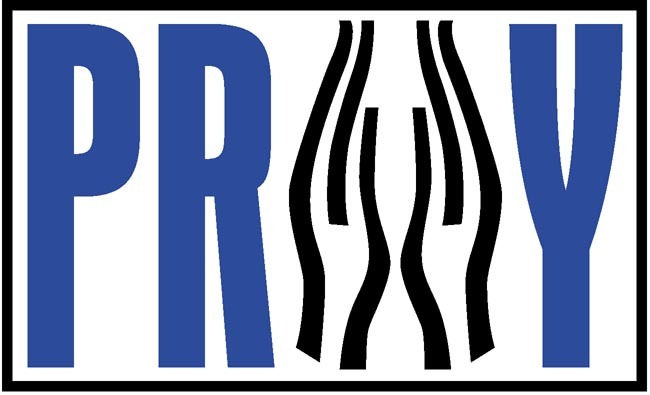 Click here for details on P.R.A.Y. 's shipping policies. Help promote To Serve God ... share this newsletter with others!